two staff and the station seat. 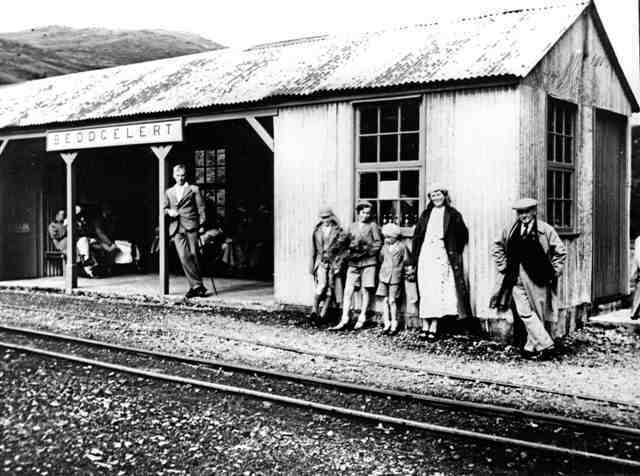 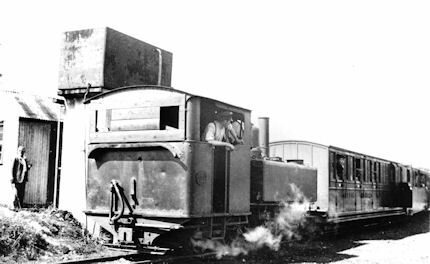 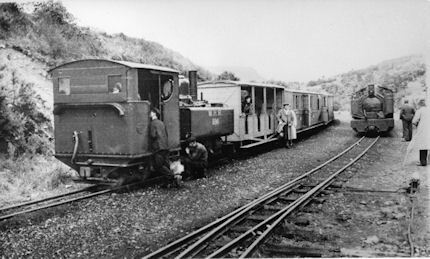 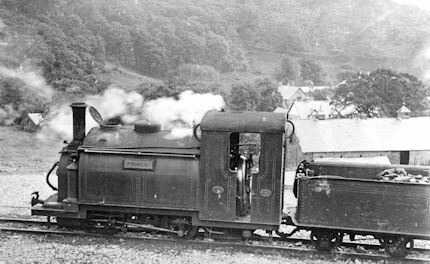 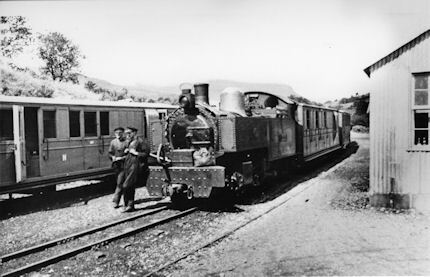 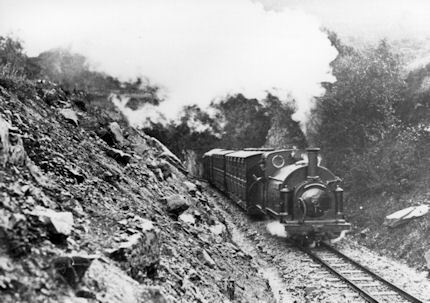 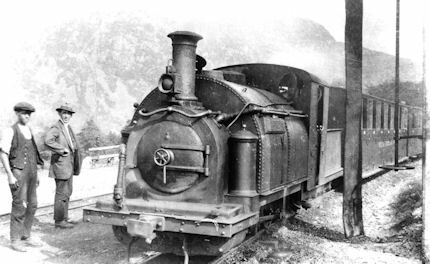 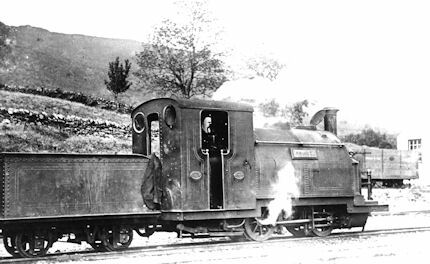 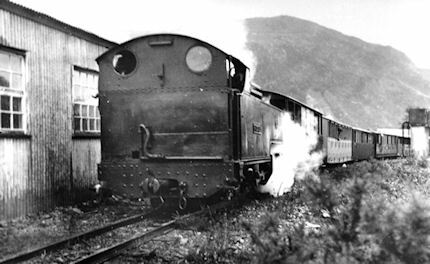 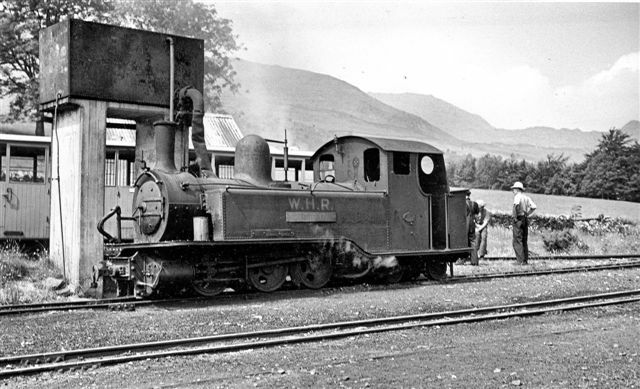 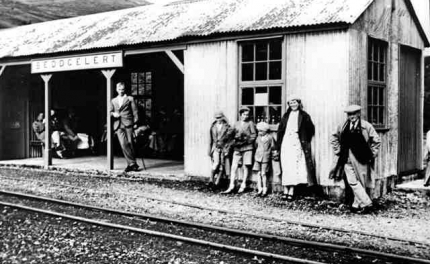 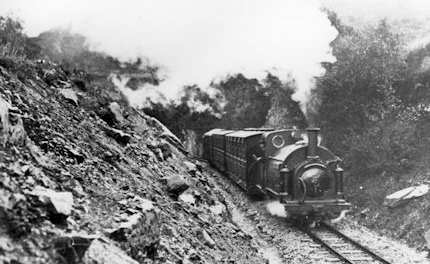 Russell', train & crew at Beddgelert. 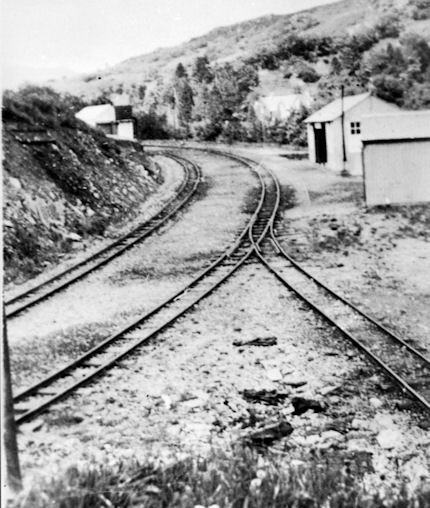 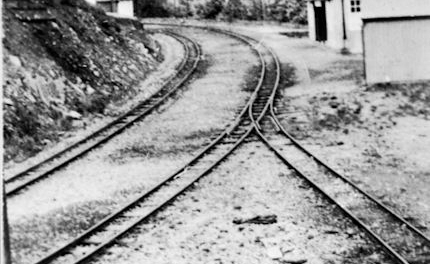 Toast Rack & Pickering. 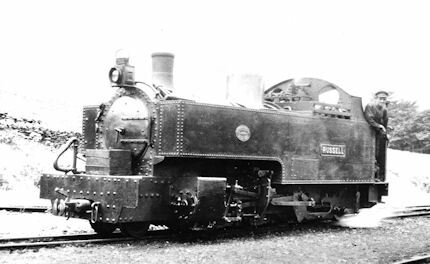 'Russell' arrived from Dinas. 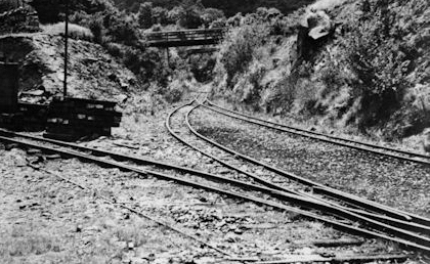 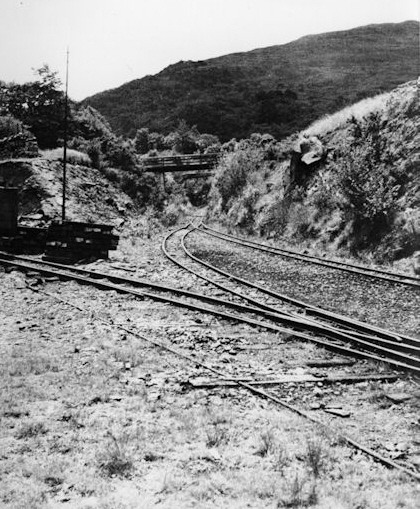 coal siding, footbridge & aqueduct over Goat cutting.